Toppings are optional, but here’s what I used. Dissolve the yeast in about 2 tablespoons of the lukewarm water. Add about 2 tablespoons of the flour and mix to a smooth paste then stir in the remaining water. Cover and leave the yeast mixture for about 30 minutes or until it is bubbling and foamy. Combine the flour (reserving about 2 tablespoons for kneading) and salt in a large bowl and make a well in the centre. Pour in the yeast liquid and remaining water. Work the ingredients together using a wooden spoon by pulling the flour into the liquid mixture until it comes together. Using your hands transfer the mixture to a lightly floured surface (don’t panic if some of the flour is left behind!). Knead the dough for about 10 minutes or until it is smooth and elastic in texture. Form the dough into a round loaf and cut into 4 even sized pieces. Form each piece into a ball and leave them all to rise under a clean tea towel for about 1 ½ - 2 hours or until they have doubled in size. Use one ball of dough for one pizza. Punch down the dough and knead for a couple of minutes. Press the dough out flat and using a rolling pin shape it into a round circle, about 10” - 12” in diameter. Using your knuckles press just inside the edges to raise them slightly. Leave the dough to rest for 10 – 15 minutes. If using a grill pan, place on the stove over high heat and turn on the broiler in your oven and leave to preheat. Alternatively, preheat a BBQ to high heat. Brush rungs of BBQ, or grill pan, with oil. Roll out dough and transfer to hot rungs. When dough is firm and grill marks appear on the underside, carefully flip the dough to cook the other side. Top the cooked side with toppings - pesto, cherry tomatoes, asparagus, prosciutto, grated Parmesan. Or, a slick of olive oil, sweet potato slices, Gouda, spoonful’s of ricotta, black pepper. 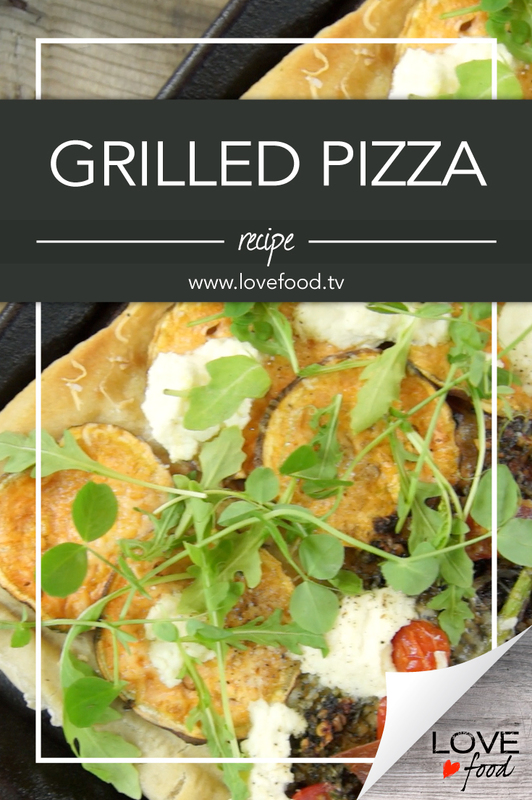 If using a grill pan, place the pizza under the broiler. Or is using a BBQ, just close the lid. When the cheese has melted and prosciutto and sweet potato slices are crispy, pizza is ready. Top with a tangle of fresh greens and serve. Put the first 4 ingredients and a good splosh of the olive oil in a food processor and whiz until blended. While the motor is still running slowly add the remaining olive oil through the feed tube until the desired consistency is reached. Transfer to a jar or air tight container and cover with a thin layer of oil. Seal and refrigerate for up to 2 weeks.